Every year, the picturesque Scottish Highland villages of Poolewe and Aultbea, along with the surrounding country estates, play host to one of Scotland's most gruelling endurance sporting events for charity. The Great Wilderness Challenge more than aptly lives up to its name. Against some of the most beautiful and rugged scenic landscape on offer in the United Kingdom, the Challenge consists of a number of physically demanding walks and runs over a variety of distances and terrains. In early 1986, plans were afoot to provide hospice care in the Highlands for the first time. The Highland Hospice Appeal was set in motion to raise funds for the project, and a Highland-wide campaign was launched in support of this initiative. A small group of friends in Poolewe and Aultbea, some of whom had recently lost relatives to cancer, decided to do something to help. 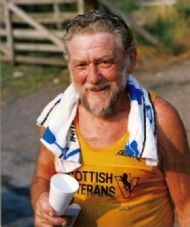 A sponsored walk was the vehicle chosen to raise funds, and arrangements were quickly made to organise what would become known as the Great Wilderness Challenge. The first staging of the event took place on Saturday 23rd August 1986. It featured 178 walkers and runners undertaking the arduous 25 mile mountain trek from Dundonnell to Poolewe. It passed off very successfully, and £6,200 in sponsorship was raised for the Highland Hospice Appeal. Over the years the event has grown, and to accommodate the ever increasing entry demands, several other routes were gradually introduced. The 25 mile route has been joined by 13 and 7 mile distances and last year we were pleased to introduce 2 'Limited Mobility' routes meaning that people of all levels of fitness and ability can now take part. Over 500 now participate in the event each year. As the numbers have increased, so has the income. From a commendable £6,200 that first year, the charity totals have gradually escalated to such an extent that for the last sixteen years the £100,000 barrier has been broken. In fact, the £200,000 barrier has been breached no less than five times in recent years! The event now caters for the needs of many different charities, but the Highland Hospice remains the main one, having received a total of over £800,000 from the efforts of GWC walkers and runners. The event itself has donated an incredible total of over £3.75 million in its 33 year history, and for many years it has been easily the biggest one-day fundraising event in Ross-shire. In 2010 the GWC celebrated its 25th anniversary in Poolewe, when the Rt Hon Charles Kennedy was the guest of honour to celebrate our special occasion. The 25 mile route, which is limited to 150 entrants for safety and environmental reasons, is extremely popular and entry is usually fully subscribed weeks before the event date. A large percentage of participants return every year, and already over 200 have completed 10 or more events. Although mostly Scottish, entrants regularly come over from the Continent, and even from New Zealand, Australia and USA. 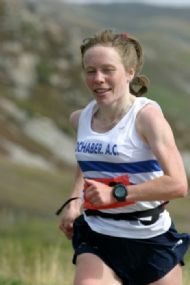 In fact, in 2005 an American lady came over the pond the day before the Challenge, took part in the 13 mile race, then motored to Aberdeen to pick up a flight to Calgary, Canada to attend an important business meeting the following day! Again a capacity entry is anticipated and hopefully their efforts will prove another fruitful one for the event and, by definition, the charities it supports. Just as the dedication of all the participants, helpers and marshals combine to make the event such an enjoyable day out for all concerned, it is certainly most important that the charitable fundraising aspect of the event continues to flourish, thereby helping all the charities we support to face their own 'Great Challenges'.